Material: Ice Navy & Ice White worsted weight yarn. These yarns have a strand of silver going through them to make the snowflakes "sparkle" in a dark blue starry sky. 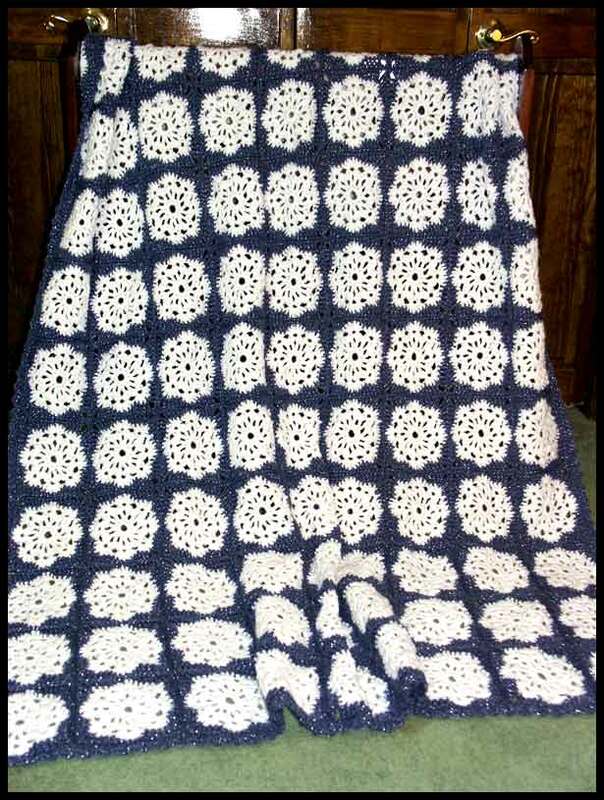 There are 108 squares in this afghan.